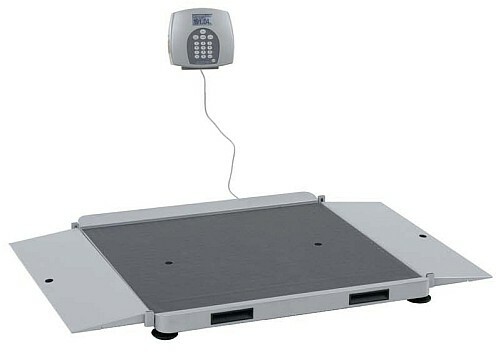 The Health O Meter ProPlus Electronic Wheelchair Scale 2650KL is a portable easy to set-up ramp style wheelchair scale. Compensating for movement is critical to weighing patients in wheelchairs. The Health O Meter 2650KL Scale uses highly sophisticated microprocessor technology. Health O Meter Professional is the industry leader in medical scales providing advanced innovations and the highest level of quality and accuracy since 1919. 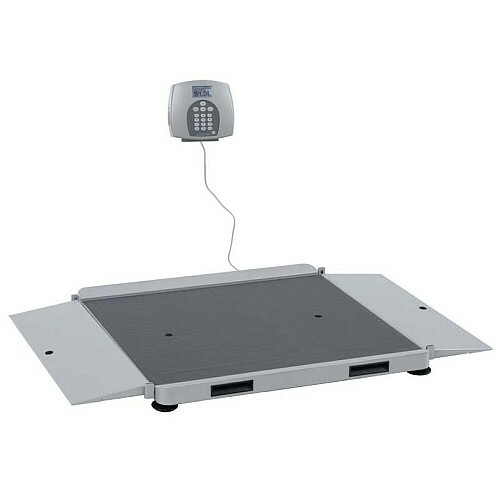 The ProPlus Wheelchair Ramp Scale 2650KL is designed to provide accurate, reliable and repeatable weight measurements and features that make the weighing process simple, fast and convenient. The scale is set up to use motion-sensing weighing technology, to determine the actual weight of a moving patient. The scale can be changed to measure live weight and the weight can be display in pounds (decimals, fractions of a lb or lb/oz) or in kilograms. The scale features a platform-independent ramp for easy wheelchair access. The unit can be operated using its AC adapter or by 6-D cell batteries (not included). Is the product sold with out the digital display?